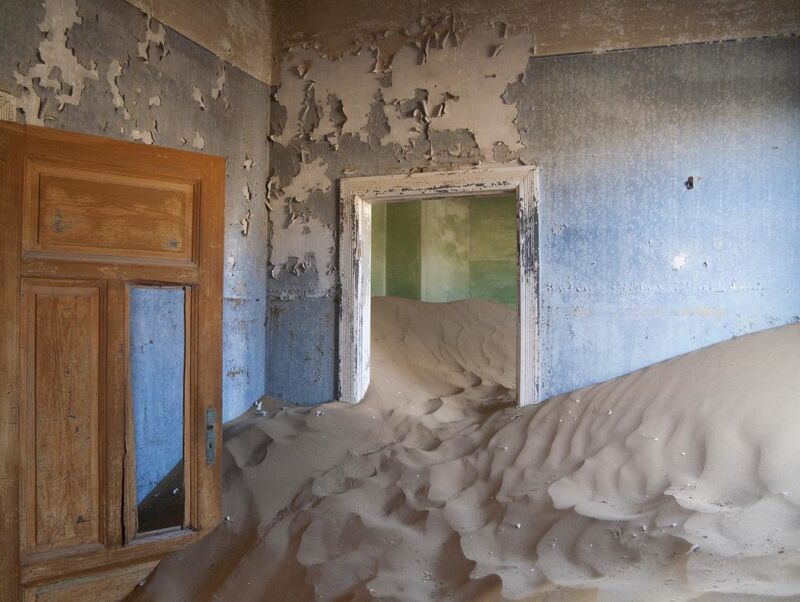 Despite being in existence since 540, much of this town’s population evacuated during the 20th century due to poor agriculture, a landslide in 1963, and a flood in 1972. 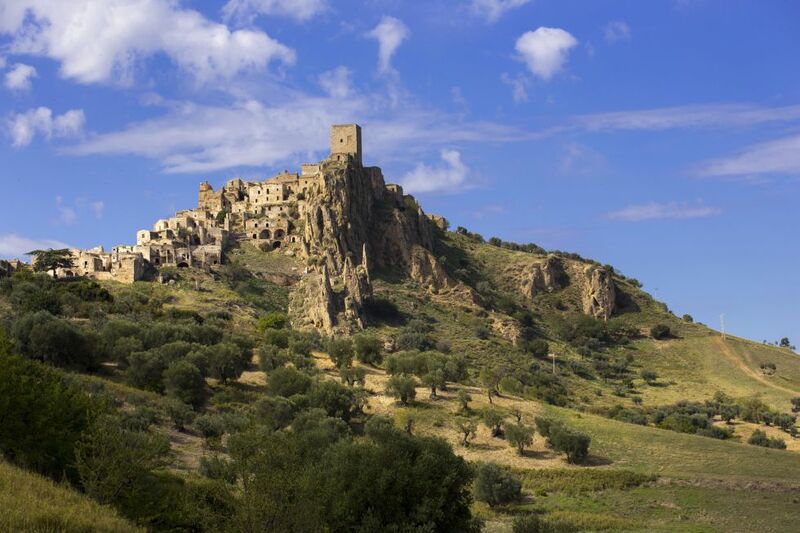 Now it’s an ancient site so striking that is even that has served as the set for movies like The Passion of the Christ. 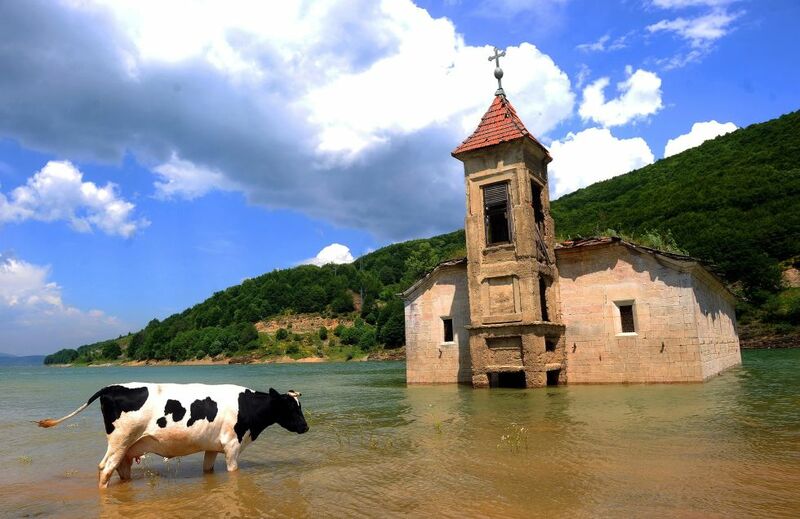 This flooded church of Saint Nicholas sits in the Mavorvo Lake in Macedonia. The destruction was actually intentional; the lake was created to support a power plant, and the church and surrounding village were merely caught in the wake of progress. 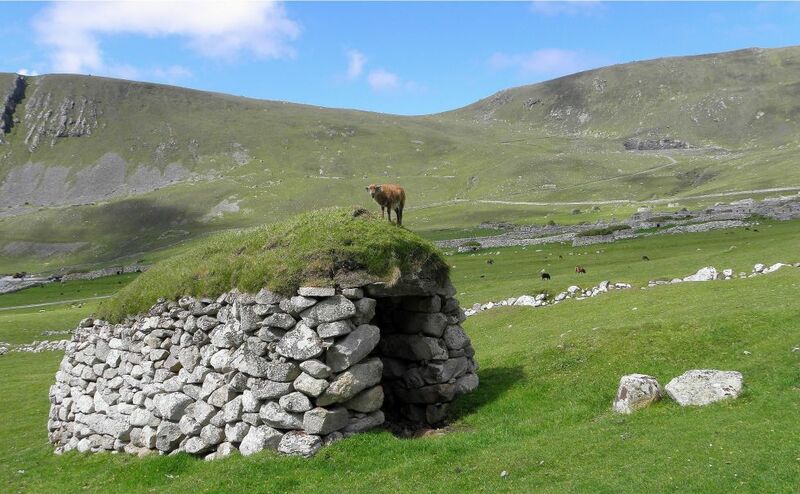 What’s left is an eerie juxatpositon of the dilpidated building against the lovely landscape. 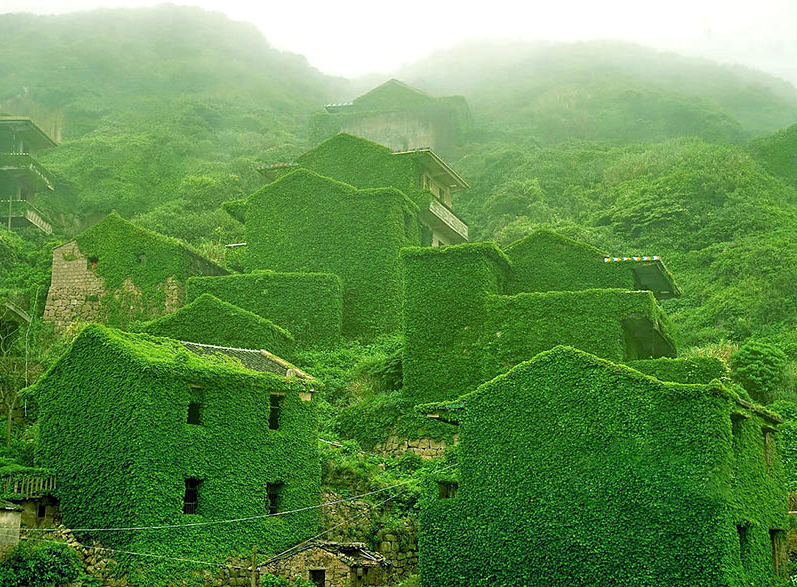 This fishing village (photographed by Jane Qing) on China’s Yangtze River isn’t your normal forgotten town — its lush buildings covered in ivy and greenery is surprisingly tranquil and striking. Built in 1866, this fairytale-like structure in Belgium was intended to be a summer home, but the designer died before its completion in 1907. 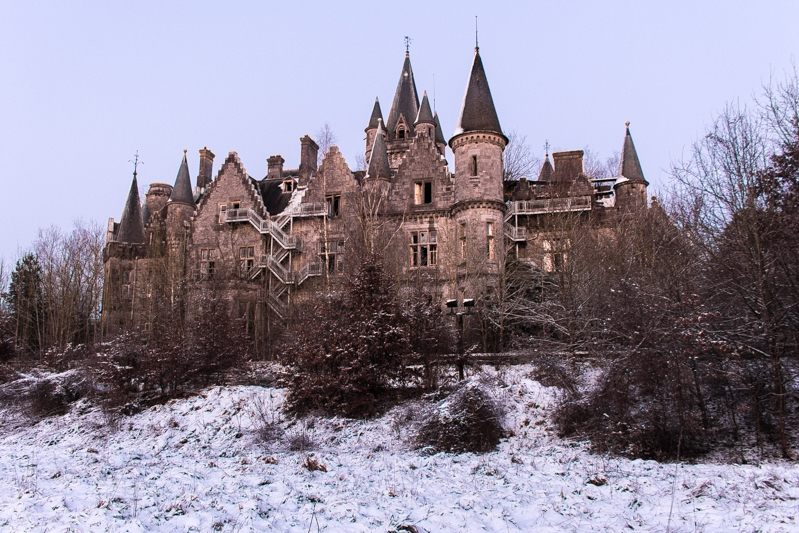 Afterwards it was taken over by Nazis during World War II, served as a summer camp for 20 years, and finally in 1991 was abandoned because it was too costly to maintain. 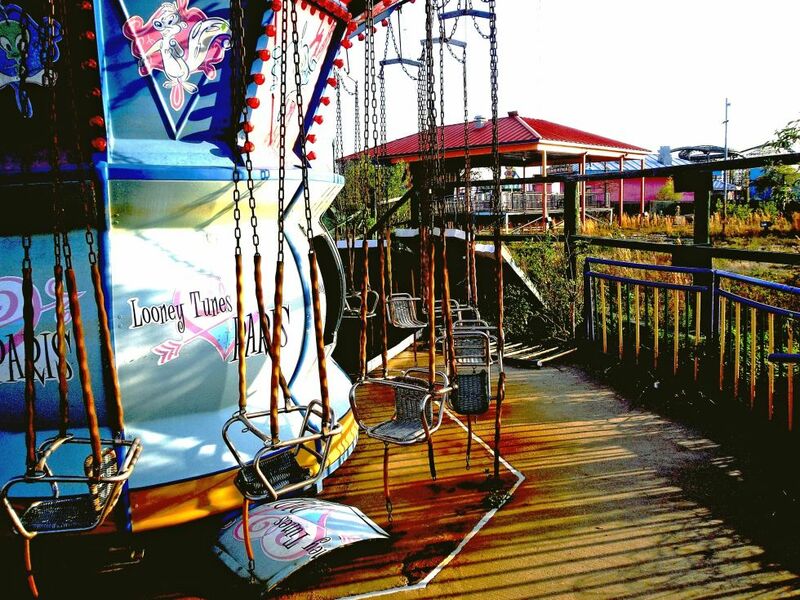 This theme park was destroyed by Hurricane Katrina in 2005. Murky water rose as high as six feet and salt water damaged 80 percent of the rides, leaving it too expensive to restore. What’s left behind is like a funhouse version of a theme park — and a strangely beautiful monument to the vibrant city once destroyed by tragedy. 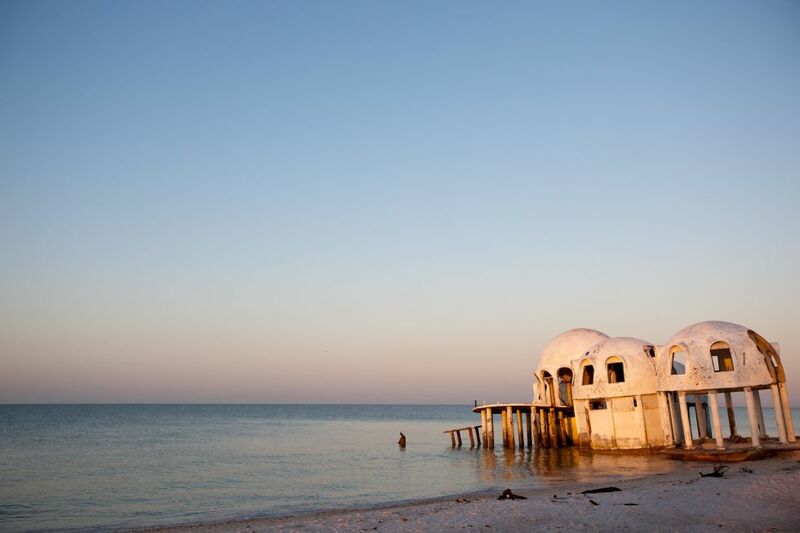 Just off of the coast of Marco Island in Cape Romano, Florida is a structure that looks like an abandoned alien space craft, but in reality it was once a vacation home that has since been destroyed by hurricanes. Now, the declining coastline makes it unsalvageable. 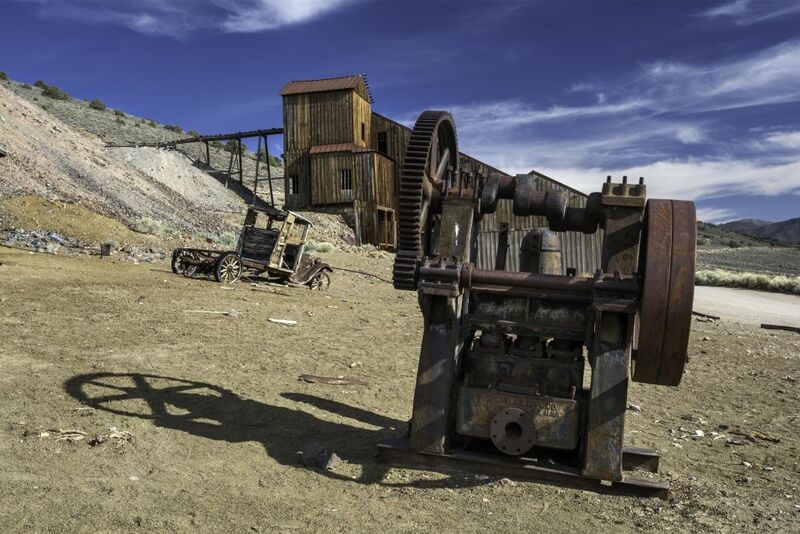 The Berlin Historic District was founded in 1897 as part of the mining boom, but never saw the success of other nearby towns and was largely abandoned by 1911. It’s now part of a Nevada State Park. 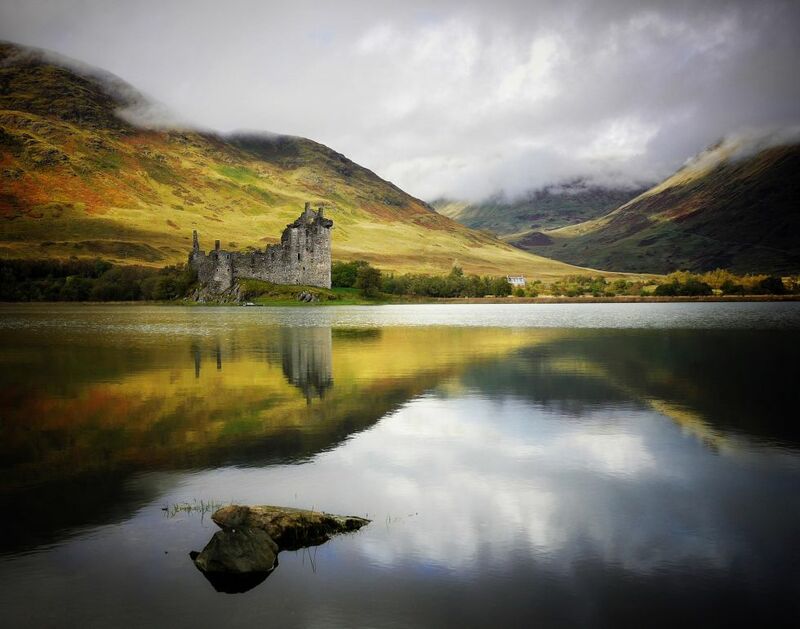 This Scottish castle was built in the mid-1400s and housed some of the most powerful people in the country. However, it was abandoned in the 1700s, and is now one of the most photographed castles, because of it’s (obviously) striking location. 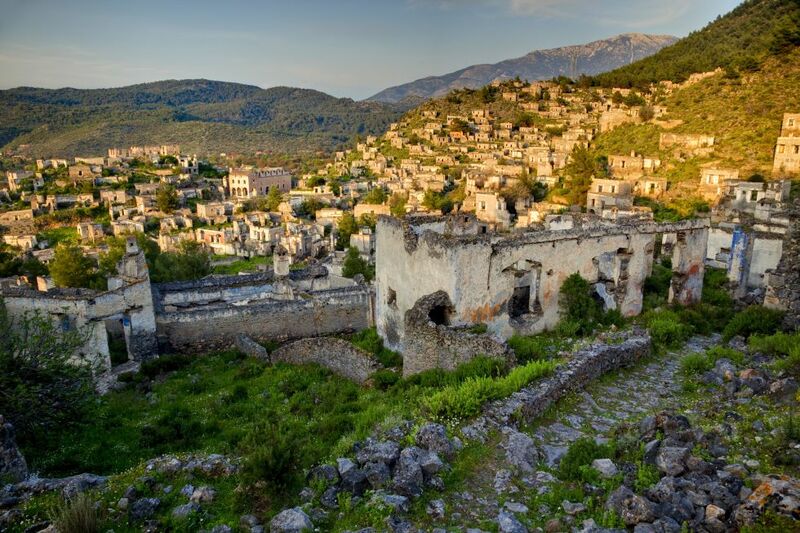 A town nestled amongst the Taurus Mountains was deserted in the 1920s because of a political population exchange with Greece. Today there are around 350 abandoned homes in the city. Nestled into the hillside and bathed in a sunset, they still look quite quaint. 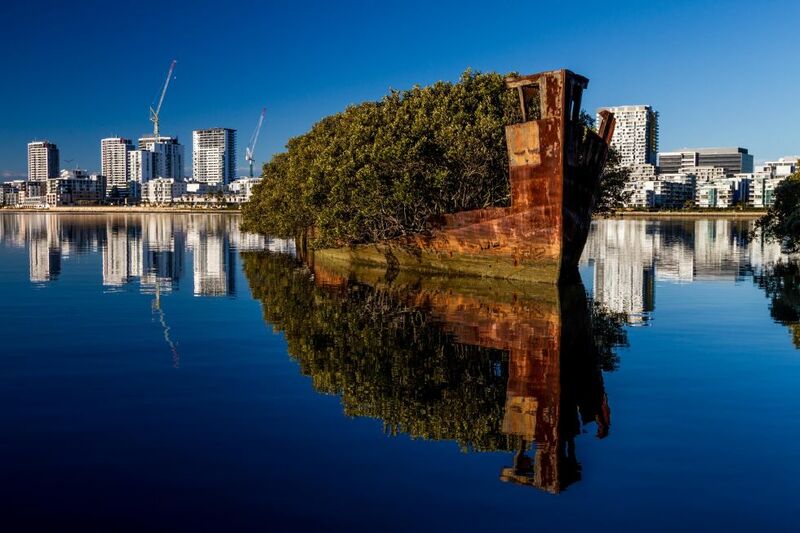 This SS Ayrfield was built in 1911 and retired in 1972 in the Homebush Bay, which is west of Sydney and basically a ship graveyard. 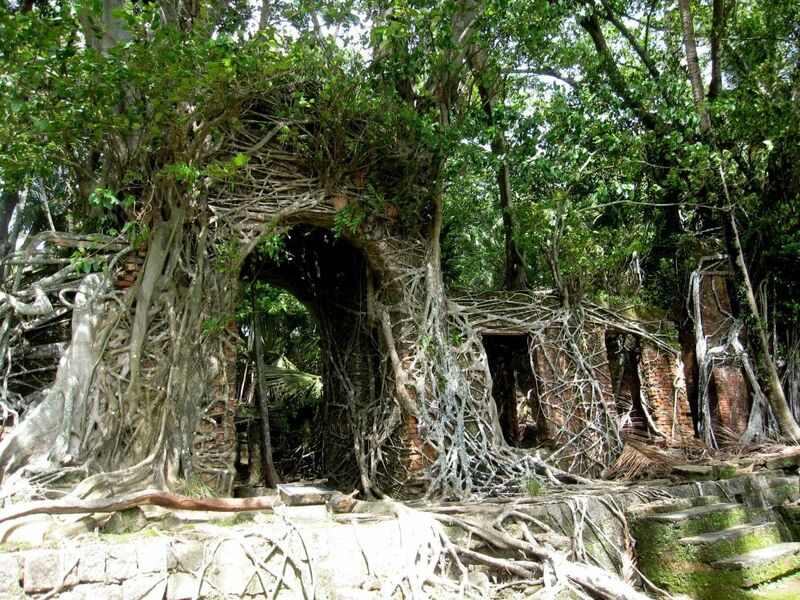 But it’s unique to the other abandoned vessels, because it’s since sprouted majestic mangrove trees and greenery. 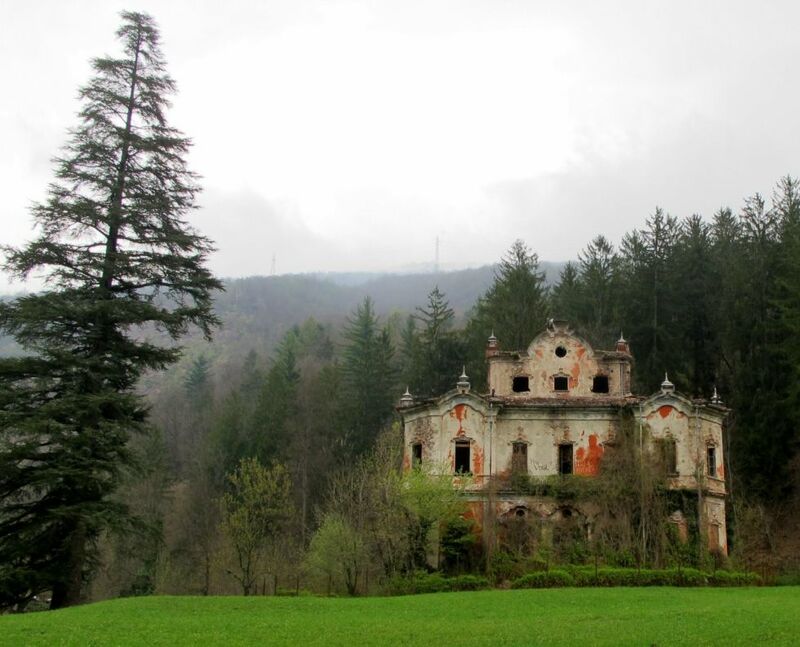 While the history of this decrepit mansion nestled in the mountains of Lake Como is not certain, locals believe it was built in the 1800s and according to rumors it was abandoned due to a murder or suicide. 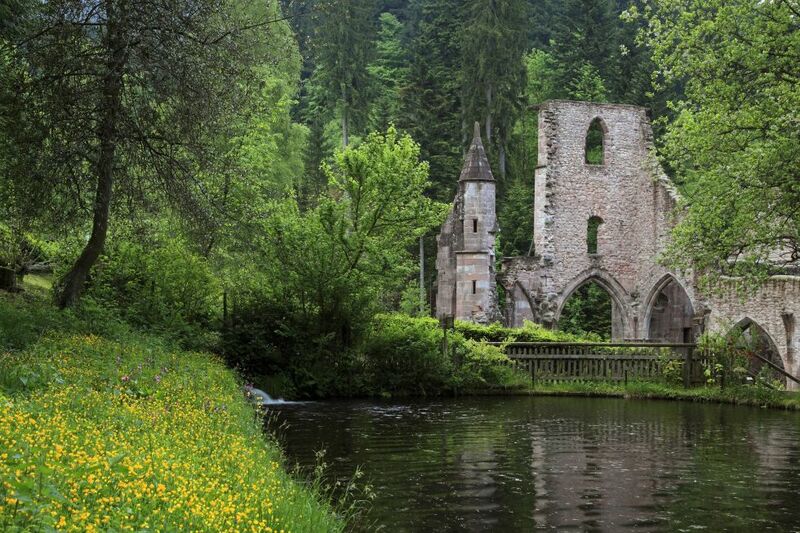 Located in the Black Forest in Germany, this church was first built in 1192 and has been struck by lightening and burnt up to three times since — which is why it was eventually left in its current form as ruins. 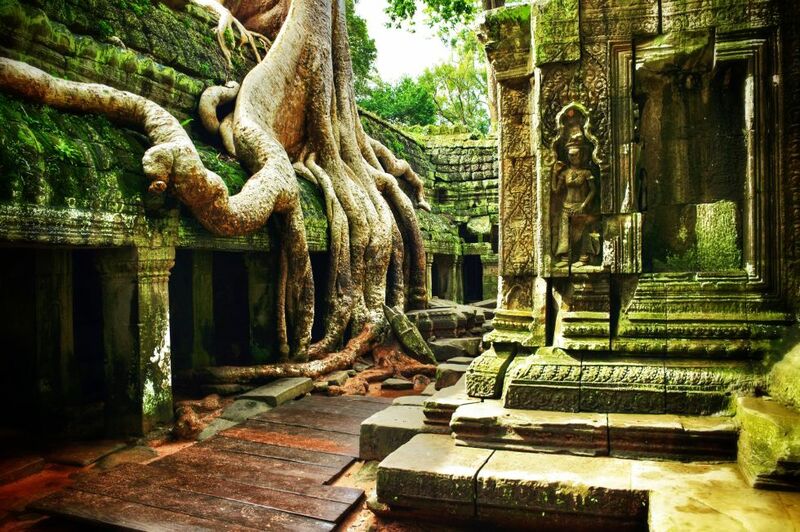 This famous temple in Angkor Wat, Cambodia was abandoned after the fall of the empire in the 17th century and — after hundreds of years of neglect — became one with the jungle. Today the ruins are looked after in order to stabilize and maintain the temple. 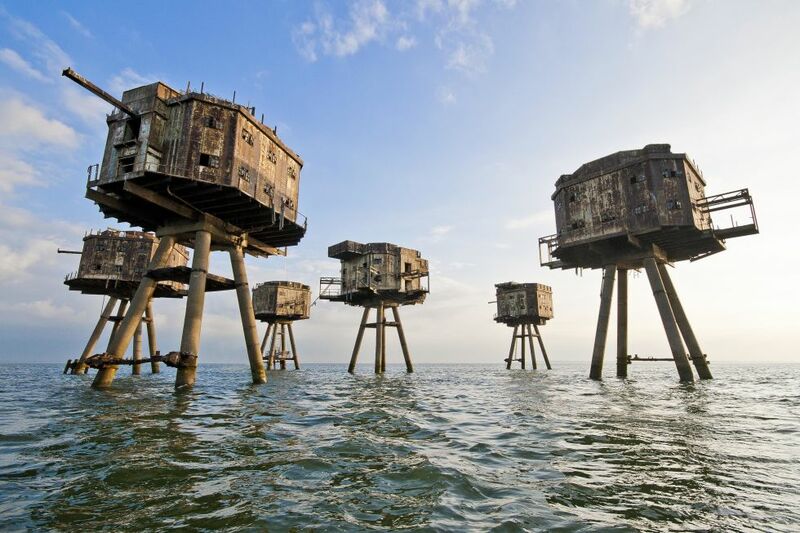 These forts were created to protect the Kent, England shores from a German attack during World War II. Afterwards, they were decommissioned in 1950, briefly served as radio stations for pirates, and are now abandoned completely. 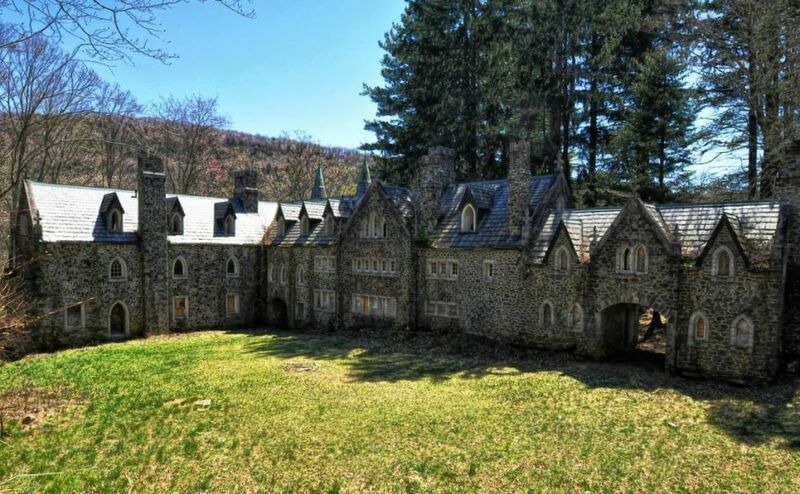 This Roscoe, New York castle was designed by architect Bradford L. Gilbert for his Scottish wife, Anna Dundas. However, Gilbert died and Dundas was committed to a sanatorium before its completion so they never got a chance to live in it — but some say Dundas’ ghost still roams the halls. 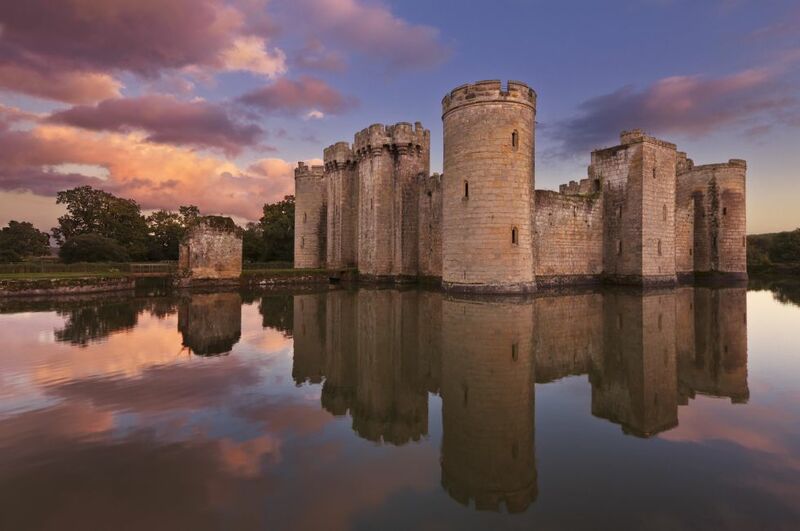 This moated castle was built in the 14th century in East Sussex, England by a knight looking to protect the area against the French in the Hundred Years’ War. But after surviving several wars it was abandoned and today is a tourist attraction that’s open to the public. 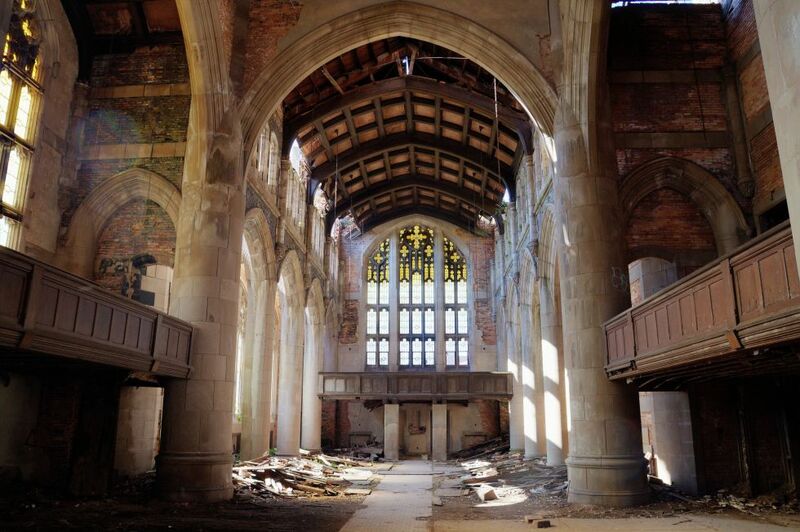 You might be surprised by the location of this gorgeous church: Gary, Indiana. It cost $1 million to build in 1926 and once had a congregation of over 3,000 thanks to the booming steel town, but as employment declined and crime rose, the church dwindled and was abandoned in 1980.